Last June, Dajia Brown embarked on a dangerous phase of life — so dangerous that many in her situation do not survive. In Massachusetts, according to the state’s analysis of overdose deaths, nearly four in 10 deaths among women who gave birth between 2011 and 2015 were caused by opioid overdoses, compared with two in 10 among women who did not give birth. Against the odds, Brown has stayed sober and is raising a healthy baby in Somerville, an outcome she attributes to the help she received at a Boston Medical Center clinic established for women like her and their children. But that clinic started only in July, and such programs are few and far between. 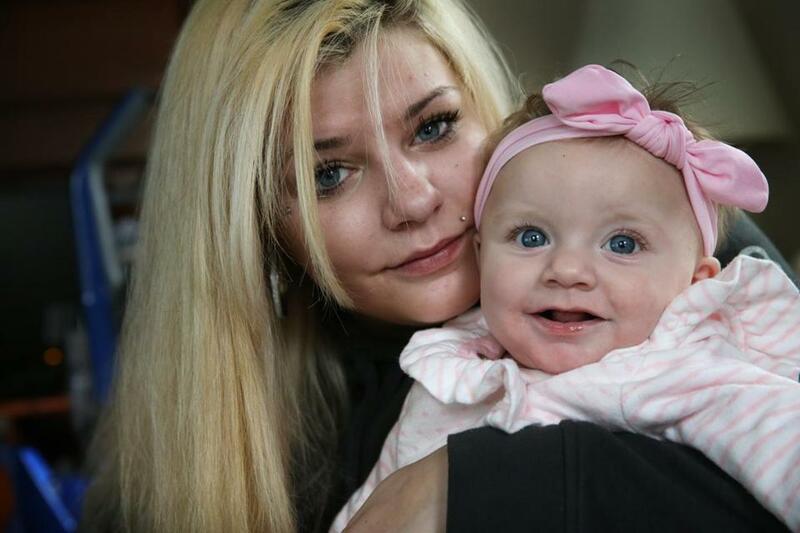 More commonly, advocates say, new mothers struggling with addiction get little attention. In some states, Medicaid benefits for women can end two months after childbirth. Even in Massachusetts, where coverage continues under a generous Medicaid program, new mothers who have struggled with addiction often confront a hostile world alone. When pregnant, many women stop using drugs to protect the child growing within them, and usually can find programs that help sustain them in treatment, such as Boston Medical Center’s Project RESPECT. With women motivated and supported, rates of overdose-related deaths drop during the second and third trimesters. And women new to recovery, who still need treatment and support, have an often-fussy infant calling on them around the clock, while temptations to resume drug use lurk around every corner. But they don’t find as much help as they did when pregnant — and the overdose death rate soars among women six months to a year after giving birth. That’s why in July Boston Medical Center launched its SOFAR Clinic (Support Our Families through Addiction and Recovery) for patients leaving Project RESPECT. It currently treats about 60 mother-infant pairs, including Dajia Brown and her daughter. With pediatricians, internists, social workers, and psychotherapists, the clinic can take care of both mother and baby on the same day. The clinic provides Brown with buprenorphine, a drug that controls her cravings and prevents overdoses, and it coordinates treatment for a heart disorder she developed during her pregnancy. Brown is often stricken with anxiety but says she can always reach someone at the clinic for help. As a result, the 24-year-old said, she is in her longest period of sobriety — 17 months — since she started using drugs at age 15. She’s motivated by her grief over losing custody of her first child and her commitment to keeping Brooklyn. “She’s been a miracle to me,” Brown said. New mothers in recovery from addiction confront extraordinary obstacles, according to people who care for them. Most are allowed to take their babies home but live in fear of losing them as the Department of Children and Families watches over their shoulder. Many have experienced trauma and, according to Massachusetts data, 70 percent have a serious mental illness. Postpartum depression is common. Often lacking cars or helpful partners, these young mothers are expected to traipse, newborn in tow, from one appointment to another — to obtain their addiction medications, to treat their own health issues, and to take the baby to the pediatrician. To make matters worse, some return to households where partners, parents, or siblings are using drugs or prone to violence. Others don’t even have a household to return to. Dajia Brown and Brooklyn are one of about 60 mother-infant pairs being treated at Boston Medical Center. In Massachusetts, according to health department data, 60 percent of mothers with opioid use disorder are homeless; they end up shuttling among shelters and friends’ couches. “One baby — 5 months old — had lived in four different places in her life,” Costello said. And yet the first year is a critical time for the child, probably as important as the months in the uterus, said Dr. Zev Schuman-Olivier, a psychiatrist and medical director for addictions at the Cambridge Health Alliance. “This is when their personality is going to be developed, their ability to relate to others . . .’’ he said. Schuman-Olivier has been developing technology to provide addiction treatment remotely, which he believes will be especially useful for postpartum women. Patients use their smartphones to meet daily, by videoconference, with “mobile recovery coaches,” who are trained to work remotely counseling people with addiction. Patients also have a device that dispenses their daily dose of buprenorphine, only after the coach provides a code that opens it. While the coach watches, the patient dissolves the medication under her tongue. Schuman-Olivier has tested the program with young adults and now plans to launch a treatment program for new mothers, probably starting in the spring. The treatment of postpartum women with addiction “reflects how we as a society think about women,” said Goodman, of the Dartmouth Institute. The pregnant woman gets care for the infant’s sake, she said. “After the baby is born, we’re very focused on the baby. The mother — it’s as if we’re saying ‘you’re not so important anymore,’ ” she said.